"Devil is in the Details"
The CrosbyIP IPSC10 screw style clamp is suitable for use in positioning and turning steel plates and sections. The pivots (clamp pads) of screw clamps are usually small in size, but actually do all the hard work. 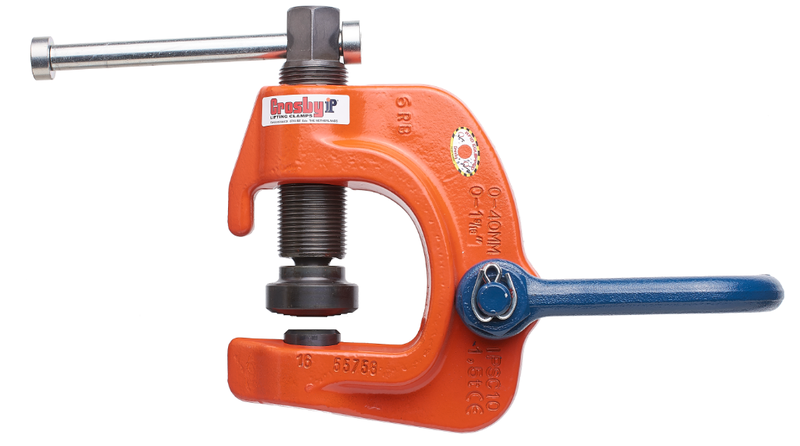 When it comes to safety of life and load, CrosbyIP takes care of every little detail of their clamps. The pivots of CrosbyIP clamps undergo a proprietary hardening process, resulting in a strong, yet ductile core and an extremely high surface hardness. To make sure that the pivot keeps the specified hardness and strength, no further surface treatment is done, as this may induce unwanted reactions (such as hydrogen embrittlement).